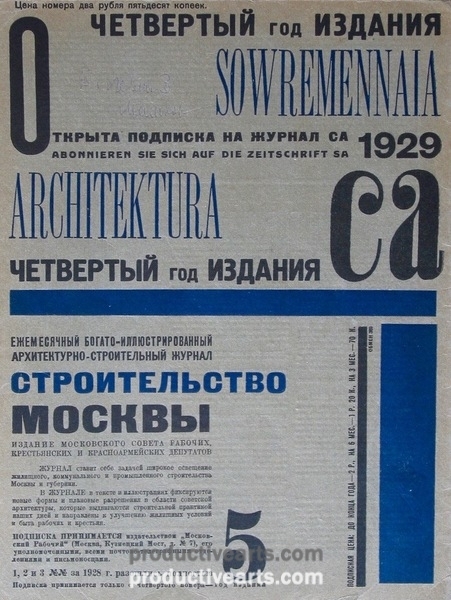 Sovremennaia arkhitektura “SA”. 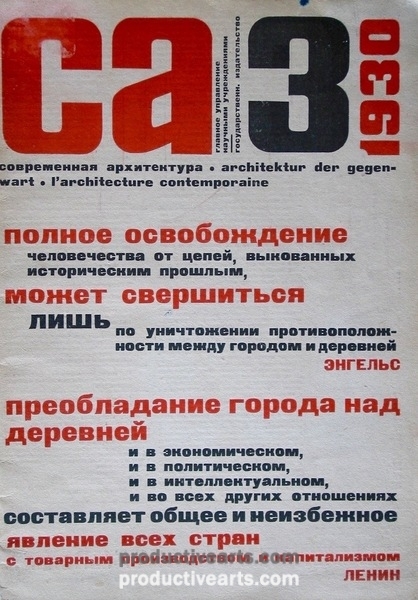 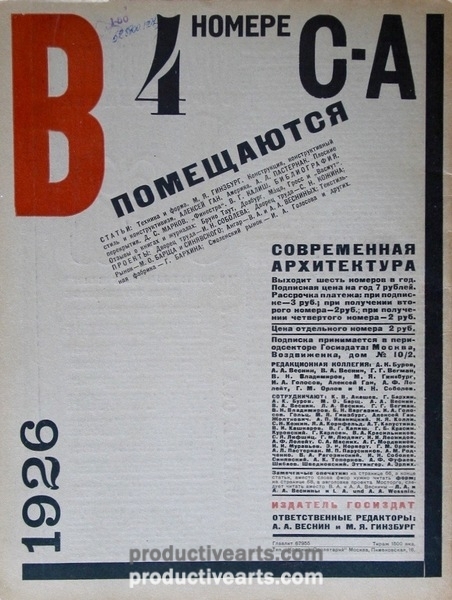 Published bimonthly in Moscow and ran from 1926-1930. 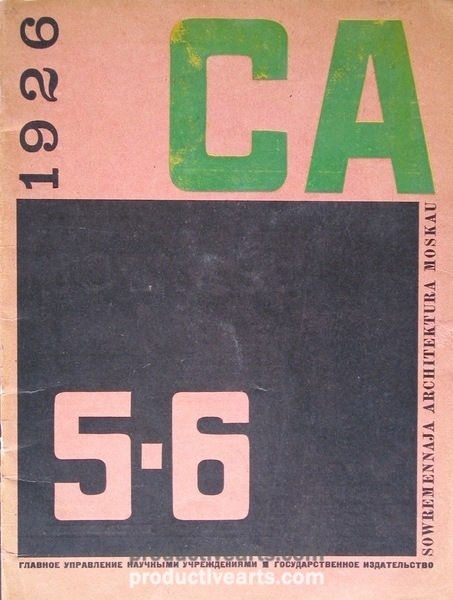 Official publication of the Society of Contemporary Architects (OSA). 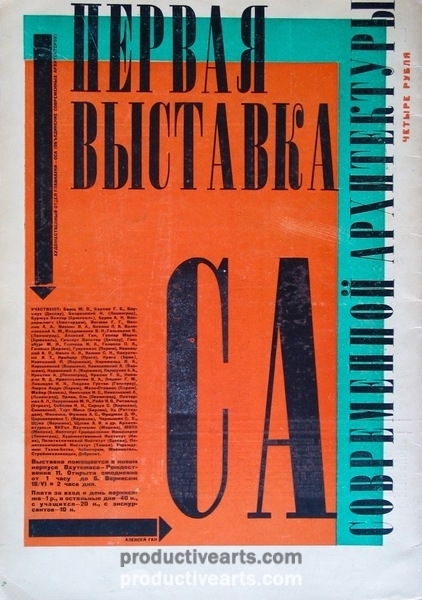 Issued by the by the Central Administration of Scholarly Institutions, USSR. 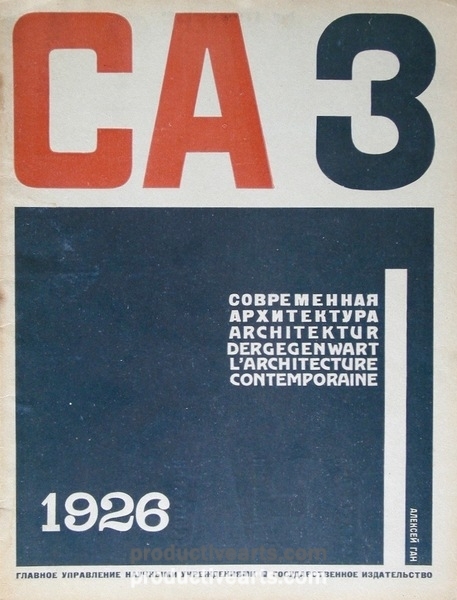 Chronicles the various stages in the development of Soviet constructivism and the views of its leaders.